Since Bill Price founded Carolina Connections in 1991, our company has become the one of the leading cable providers in Greensboro, North Carolina. 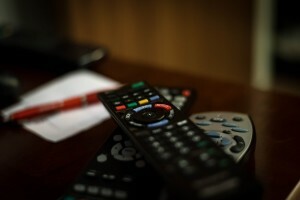 Carolina Connections offers cable and satellite TV at competitive prices. We also offer free HD and DVR systems. Because Carolina Connections has nearly a quarter-century’s worth of experience in providing TV home entertainment, we now have thousands of satisfied and loyal customers. Our personnel are constantly being trained and retrained to ensure they provide our customers with the most up-to-date technology for the best possible price. All our services are professionally installed for free. Our motto is “the customer comes first,” and we prove that by treating our customers as we ourselves want to be treated. Because we are an authorized Dish Network retailer, we are able to offer our customers all Dish packages at the lowest possible price. That means you’ll not only get Dish special offers but the best deals every day. Of all TV services, Dish offers the most channels. In addition, with packages including Premium Channels or the Movie Pack, Dish offers the most movies available from any TV service. Also available from Dish is the Whole-Home HD DVR Hopper. This award-winning feature allows viewers mobile access to all their TVs and recordings from anywhere. In addition to being one of the leading cable providers in Greensboro, North Carolina, Carolina Connections is also an authorized dealer for DirecTV, the nation’s Number One satellite service. Exclusively available to DirecTV customers is the NFL Sunday Ticket. Every Sunday, this feature brings viewers all out-of-market games live. An upgrade to NFL Sunday Ticket Max allows viewers access to features such as live games, highlights in real time, the NFL RedZone Channel and NFL.com fantasy on all their mobile devices. Also, for a low price DirecTV offers their customers a special package featuring entertainment, Internet and phone from AT&T when bundled. Besides TV, Carolina Connections provides Internet and phone service to the Greensboro area. Affordable broadband and DSL service from AT&T, Time Warner and CenturyLink is available to Carolina Connections customers. When bundled with a phone plan, the packages Carolina Connections customers enjoy are the ultimate in both affordability and service. When they switch to one of our phone services, the customer has the option to either keep their own phone number or receive a new one. Carolina Connections also offers home security packages from ADT and SafeStreets including smoke, heat, carbon monoxide, flood and burglary detection systems. The remote features allow our security customers to regulate their systems from their mobile phones, tablets or laptops. Alerts are sent to their devices when the security sensors detect unusual activity or changes. Because our cable and satellite customers already have the needed technology installed, adding a security system is simple. However, we also offer separate security packages for customers who currently don’t subscribe to our cable or satellite services.